Author: Mofina, Rick Set In . . . Description: Rookie crime reporter Jason Wade, a troubled loner from the wrong side of the tracks, pursues the story of a murdered Seattle nun. The case leads him to a hermit nun who founded a mysterious religious order; and ultimately to the dark secret that has tormented his ex-cop father for decades. It culminates in a life and death struggle against the clock. With time running out, Jason and his father battle the odds to confront a terrible truth. 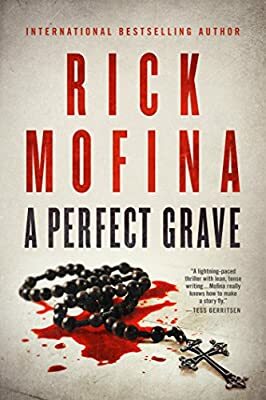 Rick Mofina is a former journalist who has interviewed murderers on death row, flown over L.A. with the LAPD and patrolled with the Royal Canadian Mounted Police near the Arctic. He's also reported from the Caribbean, Africa and Kuwait's border with Iraq. His books have been published in nearly 30 countries, including an illegal translation produced in Iran. The Crime Writers of Canada, The International Thriller Writers and The Private Eye Writers of America have listed his titles among the best in crime fiction. As a two-time winner of Canada's Arthur Ellis Award, a three-time Thriller Award finalist and a two-time Shamus Award finalist, the Library Journal calls him, “One of the best thriller writers in the business."